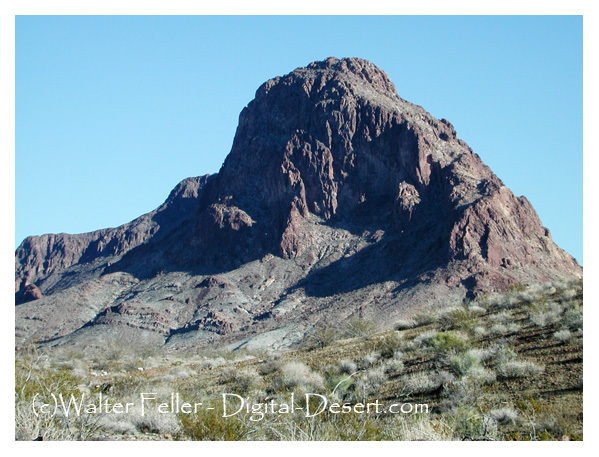 Boundary Cone Butte is a geologic promontory located in the western foothills of the Black Mountain Range on the Historic Route 66 between Needles, California and Oatman, Arizona, about 14 miles east of the Colorado River. Elevation 3429'. This was a prominent landmark to pioneers traveling through the area. Several Indian tribes attach religious and cultural significance to the butte as well as much of the surrounding landscape, the most local being the Mojave Indians.